A young woman wakes up in her bedroom in hospital. She has emerged from a prolonged coma. Rather than going back to her husband and child, she leaves the home and begins walking into the wilderness. Walking to the Moon details her journey from darkness to light, from the profound psychological trauma that caused her to withdraw from the world, and the mountains of the mind she must conquer in order to rejoin it. Walking to the Moon is not a bleak or dark journey. It is beautifully written, observant, witty and often profoundly moving. 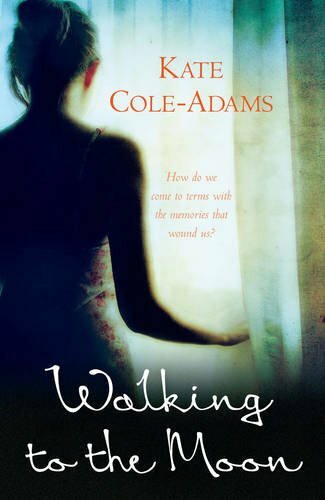 Kate Cole-Adams has mastered the art of empathy so that the reader is instantly recruited to side with our heroine and to cheer her on, step by step, in her search to reconnect with the world. Kate Cole-Adams is a Melbourne-based writer and journalist. She has worked in cities from Sydney to Darwin for publications including The Age, Sydney Morning Herald and Time Magazine.